The adventure never seems to end. Another morning and another new port to view and explore. Today is a chance to really enjoy a destination. 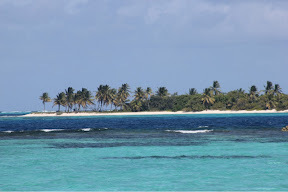 the island in the image is of the island used during the filming of the second Pirates of the Caribbean where Captain Jack Sparrow was stranded. 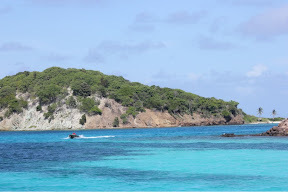 Let me say it right now--I have never seen in person water the color of the water in Tobago Cays--rich turquoise against a blue sky is a picture post card memory. 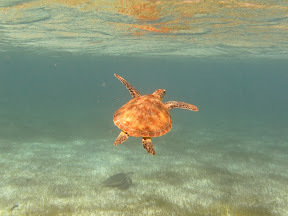 We were snorkeling by 8AM, again, with turtles. 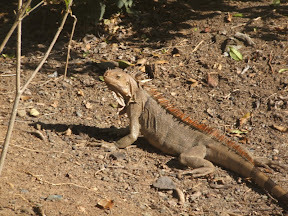 We walked a small island looking for tortoises and iguanas, we found iguanas, everywhere, and some were not too happy to see us. One wanted to keep me off the path, but he heeded to reason when confronted with my diving flipper to make me seem larger than I am. 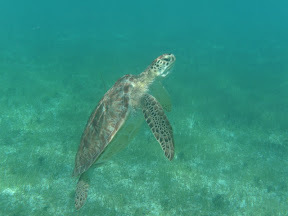 Snorkeling with the turtles was truly a highlight of the trip. At one point, I had 8 turtles in sight and s long as they are not approached too closely, they do not seem to mind the company. 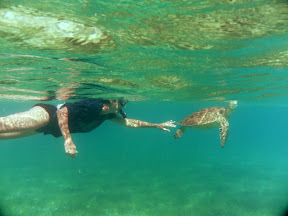 We spent a lot of time with the turtles and even came back after lunch for one last time with them. But from turtles, we headed off to Horseshoe Reef for additional snorkeling both on the Caribbean side and then the Atlantic side of the reef. 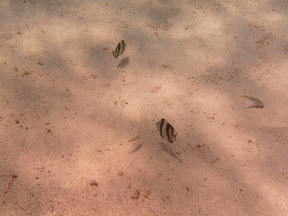 The snorkeling in the reef was also fabulous. The park--as it is of St Vincent and the Grenadines is accessible only by boat and is tricky to navigate into and out of. 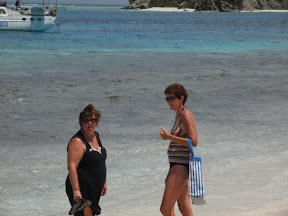 Once in Tobago Cays thought, everything is accessible by dinghy. I learned how to get my snorkeling gear on in a dinghy with four other people and get out and then back into the dinghy at sea. It is humorous and hard. We tied the dinghy off at buoys in both spots. 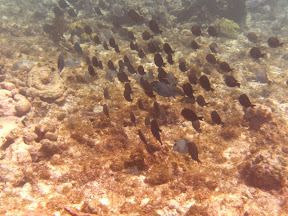 The snorkeling was awesome and on the Ocean side we could see the deep blue drop off into the abyss. 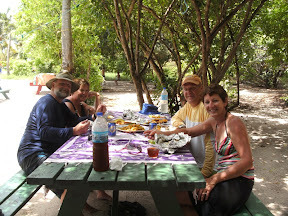 We had lunch as a barbecue place which provided a sumptuous outdoor fish barbecue on the beach to enjoy. It was in my opinion the best meal of the entire vacation both in terms of variety and portions, and it all tasted real good too. After swimming with the turtles again, it was time to begin the return trip to St Lucia--and about 3pm we headed off for Admiralty Bay, Bequia on an anticipated 4-8 hour sail, depending upon the winds. As I am writing this, we are making good speed of 8 knots so a 4 hour sail is looking good.